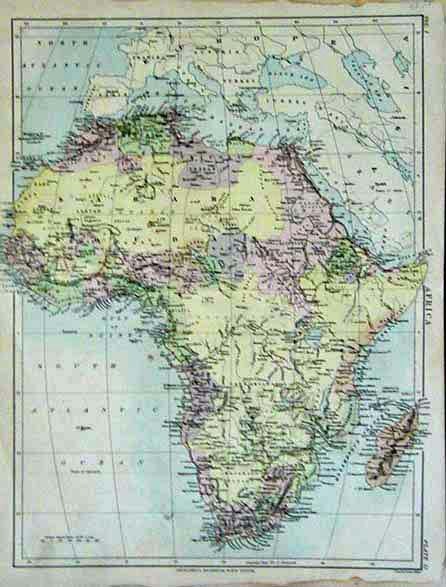 Antique African Maps and Prints for sale. Additional inventory is available. 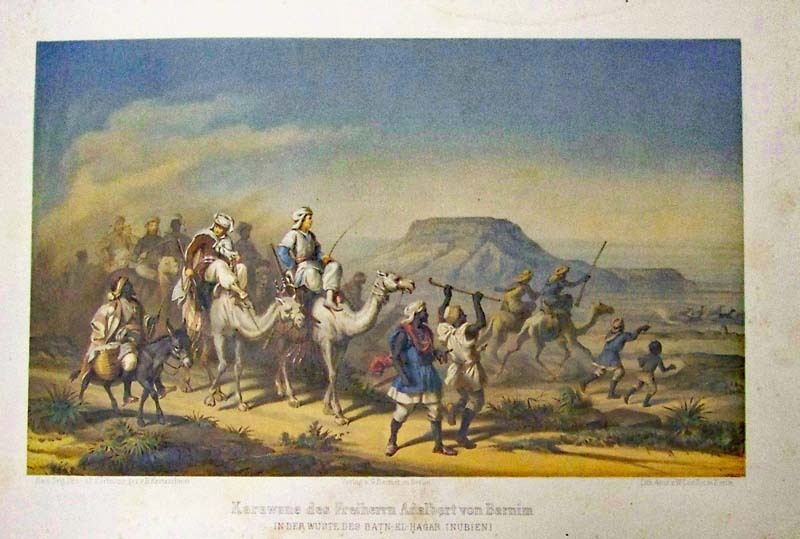 Caravan in North East Africa (Nubia) - This is a rare chromolithograph by Adolbert van Barnim showing the Hartmann's Expedition to the Nile. Image features dramatic scenery and camels racing. Fine condition. 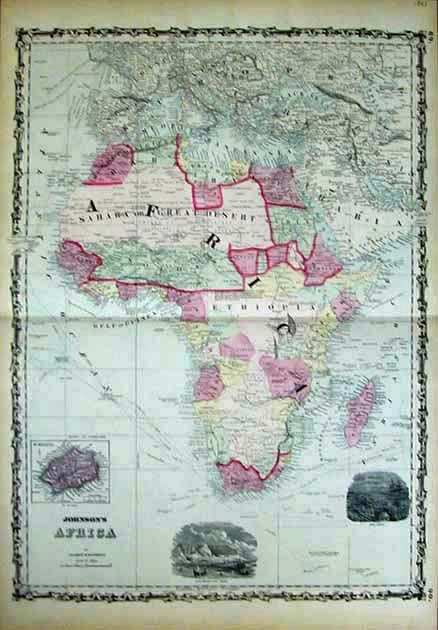 1862 Johnson Africa Map. Large scale hand colored antique map. 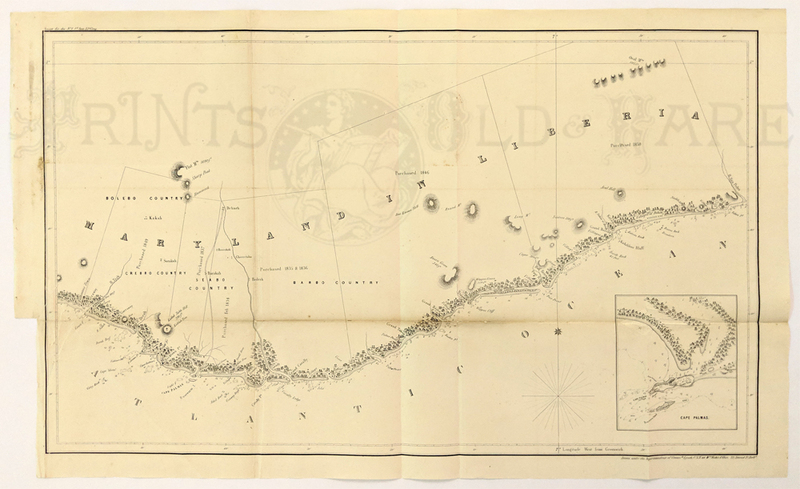 Inset map of St. Helena, with inset engraved views of Cape Town and Port Natal. 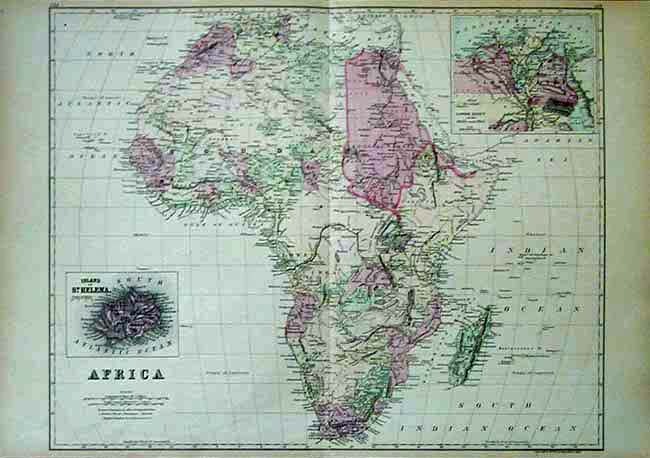 1878 Africa Map. 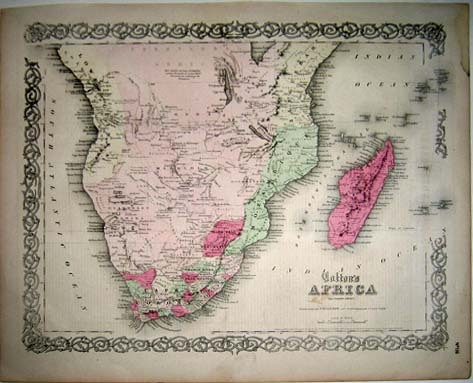 Hand colored map from Britannica, 1878. 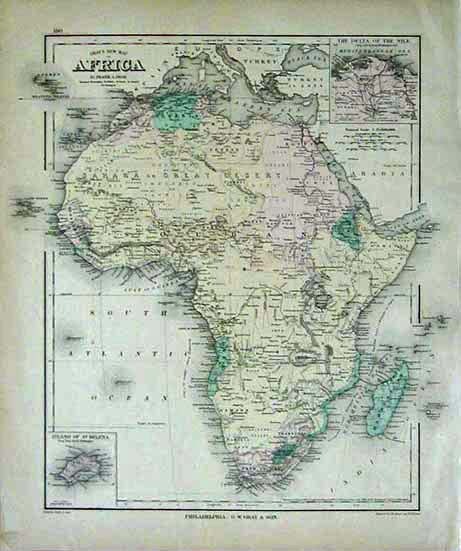 1884 Bradley Africa Map. Excellent hand colored antique map, with inset maps of St. Helena Island, and the Nile Delta. 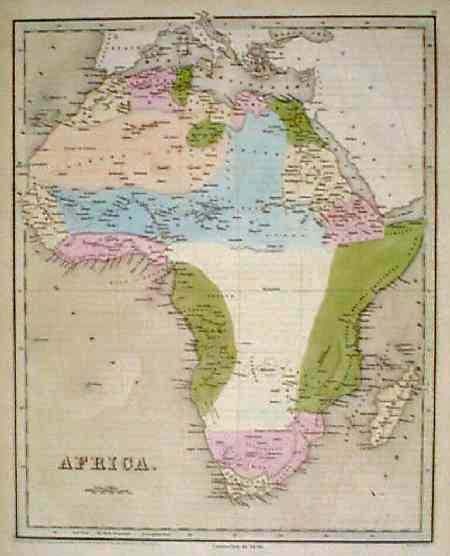 1838 Bradford Map of Africa. Fascinating map, with original hand coloring, from T.G. Bradfords famous world atlas of 1838. 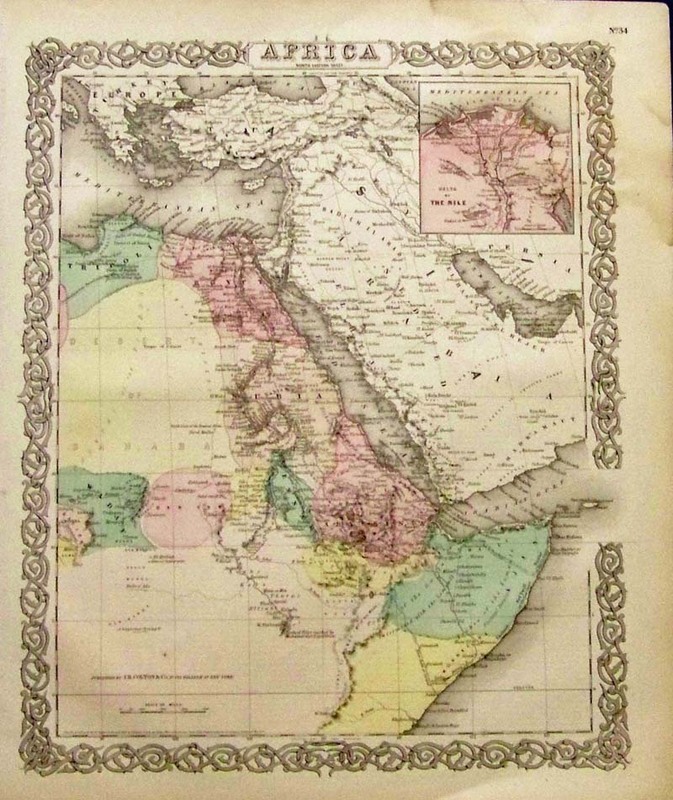 This map is from the 1846 printing of the atlas, and the phrase "corrected to 1846" appears below the bottom border. Regions throughout the continent are colored separately. Cities and geographical features are shown primarily along the coasts. The interior is almost completely blank, because Europeans had not yet explored those areas. AFRICA. 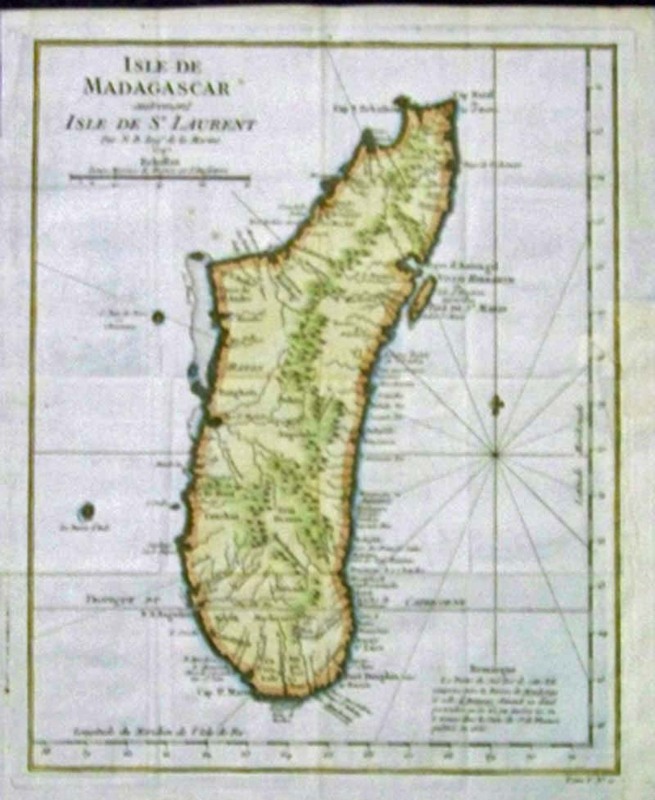 1790 Bonne Le Canal de Mosambique , L'Isle de Madagascar. Watercolor copperplate engraving on handmade rag. Excellent condition. 14.5 x 10" plus margins. 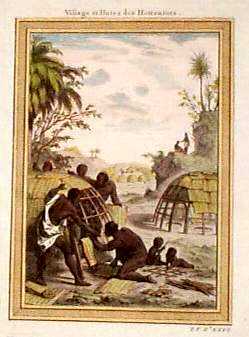 1753 Natives on Gold Coast of Africa. Hand colored copper engraving, printed on hand laid paper in 1753 as an illustration to a book. Title of the scene is "Habits on the Gold Coast." 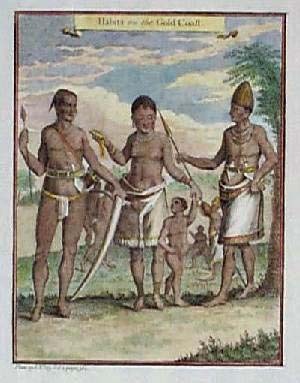 Four African natives are shown, wearing traditional dress. 1650 Views of West African Coastline, by Kip. Two hand-colored, engraved views by J. Kip, showing scenes on the Western coast of Africa. Location is not clear; probably in the vicinity of Ghana. Published circa 1650. Top view is titled "The Prospect of Little Comendo." 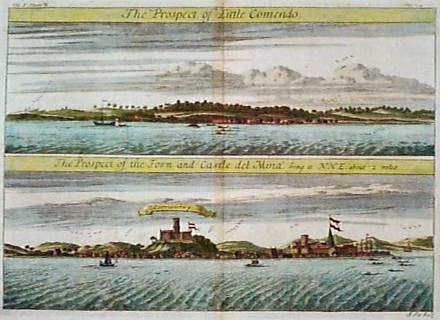 Bottom is titled "The Prospect of the Town and Castle del Mina, Being at NNE about 2 Miles." Excellent condition. 1650 West Africa Coast Scene, by Kip. 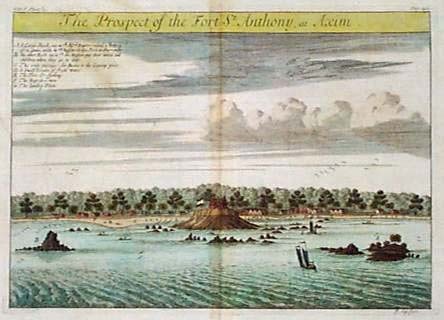 Hand-colored, engraved scene by J. Kip, titled "The Prospect of the Fort St. Anthony at Axim." Shows a view of the fort as seen from the water, with small villages in the background. Location is on the Western coast of Africa, near Accra in Ghana. Excellent condition. 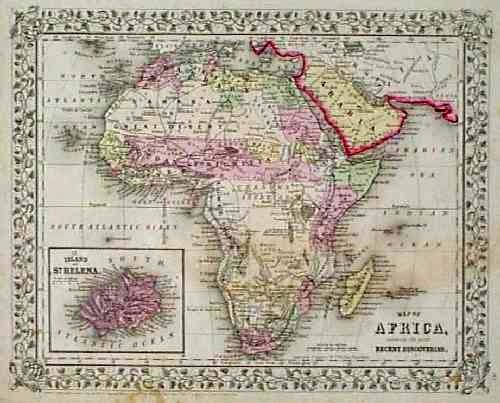 1850 Cowperthwait Map of Africa. Beautiful, engraved map, with original hand coloring, published in 1850 by Thomas, Cowperthwait & Co. The continent is divided into European colonies. A key in the upper right corner lists the names and African possessions of the European colonial powers. 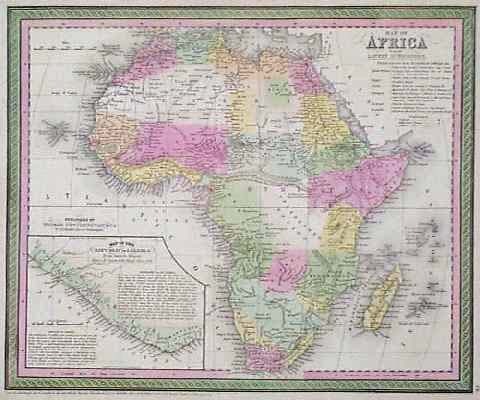 In the lower left corner, there is an inset map of Liberia with descriptions of its geography and history. Excellent condition. 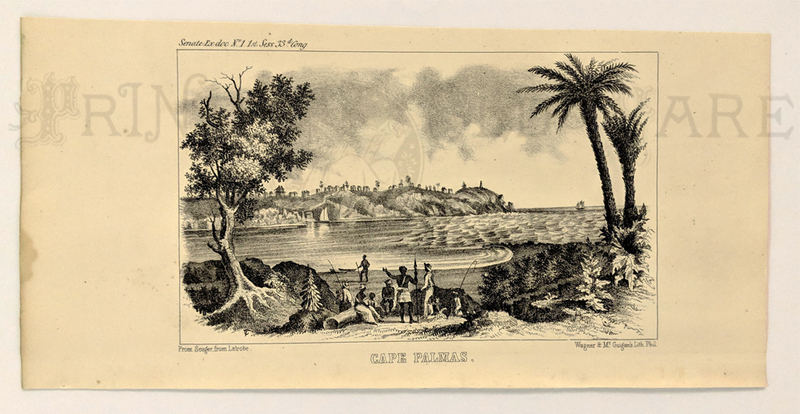 Algiers - Panrama City View featuring a lengthy description written in French. Fine condition. Hand colored half-tone engraving. C.1900. Very nice hand colored lithograph from 1861. Plantations de Musa Ensete en Abyssinie. 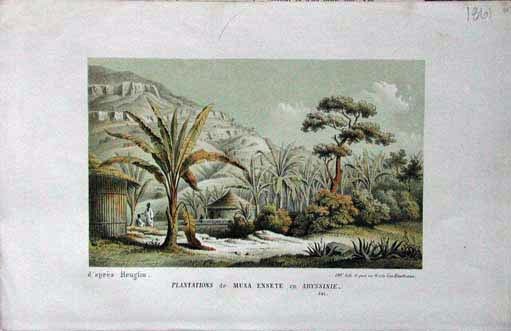 Very nice print of a Banana Plantation. 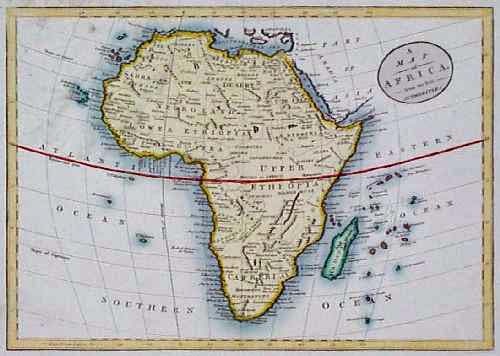 South Africa, Cape of Good Hope, Kolbe 1727. A small and rare original hand colored engraved map of the Cape of Good Hope, noting early Dutch Settlements, Caarte Van de Colonie Van de Kaap, by Karl Kolbe. 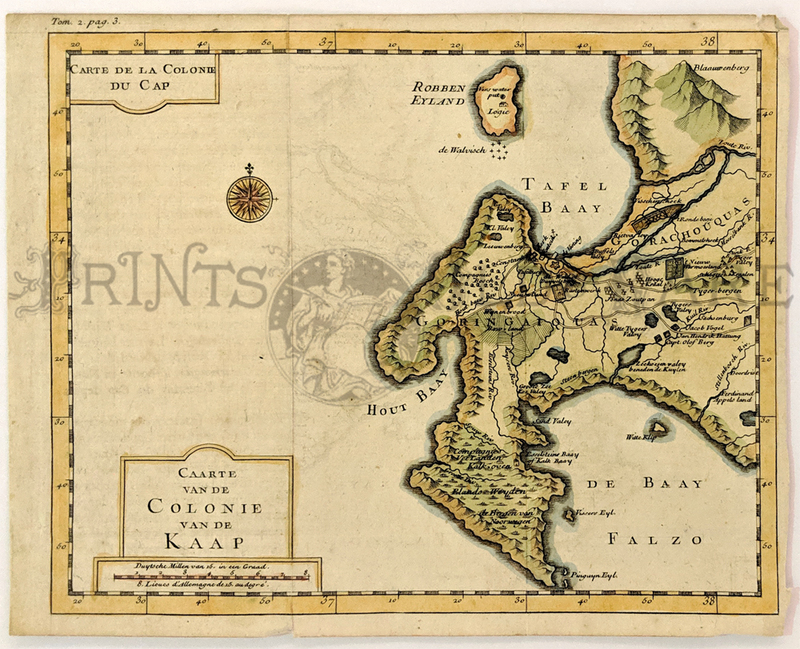 Finely detailed showing de Bay Falzo, Hout Baay, Tafel Baay and early houses of Cap. Olof Berg, Jacob Vogel, Jan Hattung along the Kuil River, and Robben Eyland. Good condition, some folds visible, slight tear on a bottom margin, small margins all around. 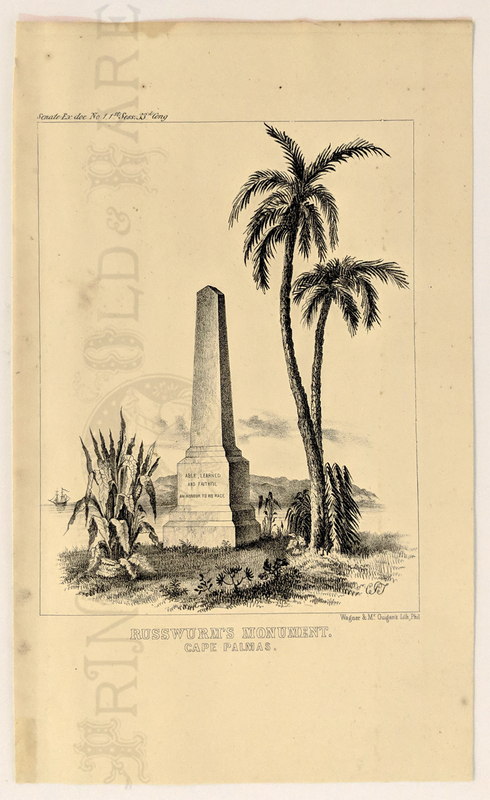 1854 Liberia – American Colonization Society. Mornovia. President Robert’s House and Episcopal Mission near Cape Palmas. Lithograph. 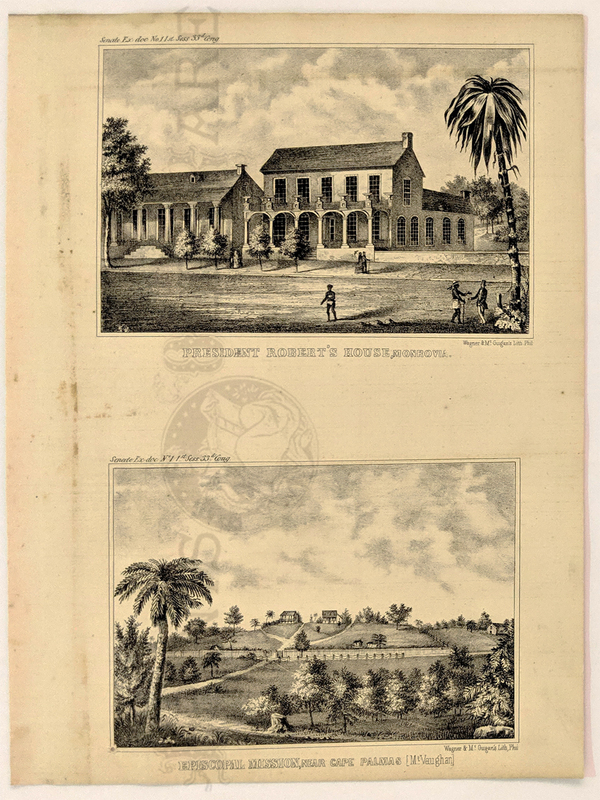 1854 Liberia – American Colonization Society. 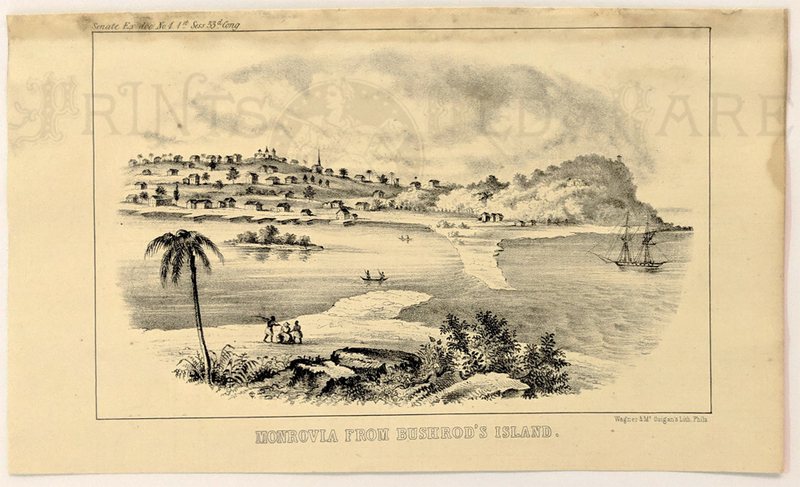 Monrovia from Bushrod's Island. Lithograph. 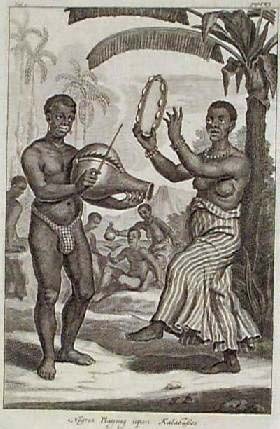 1854 Liberia – American Colonization Society. Russwurm's Monument. Cape Palmas. Lithograph. 1854 Liberia – American Colonization Society. Cape Palmas. Lithograph. 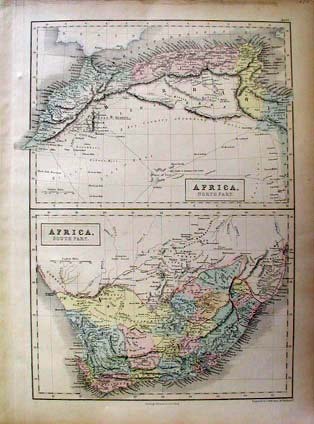 1855 Colton's AFRICA map - (Southern Sheet), published by J.H. Colton, No. 172. Hand colored antique map with very ornate border in excellent condition. the Delta of the Nile. 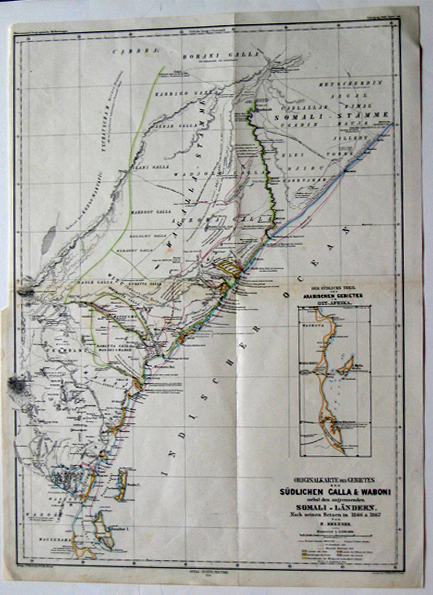 1868 Originalkarte des Gebietes der Sudlichen Calla & Waboni (Map showing Africa and Somali regions near the Indian Ocean) (German edition). 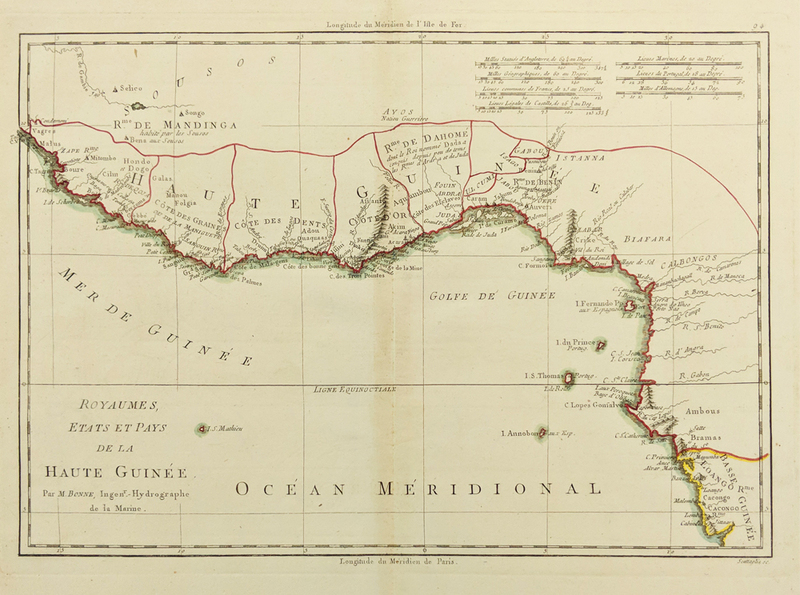 Slave Gold Coast - 1790 Guinee also includes Cameroon, Nigeria, Benin, Togo, Ghana, and The Ivory Coast. Fine original engraved map - outlines in color. 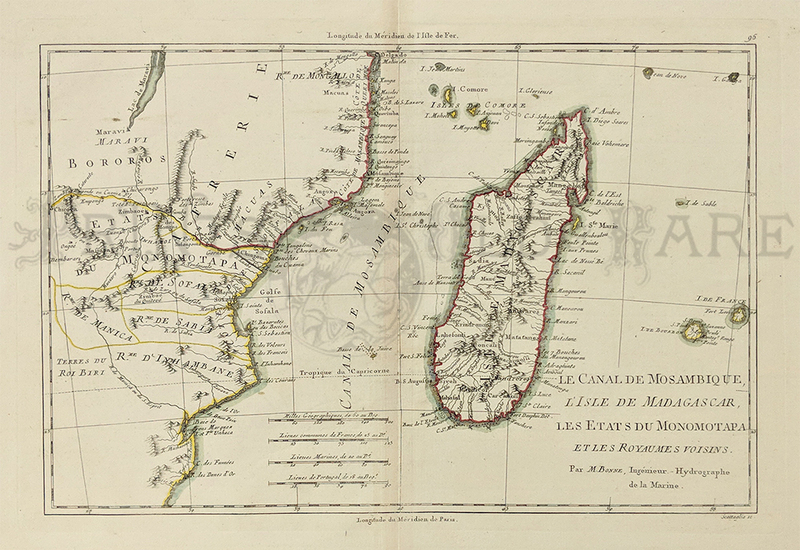 "Royaumes Etats ET Pays De La Haute Guinee" by Bonne. Some discoloration along orignal fold.